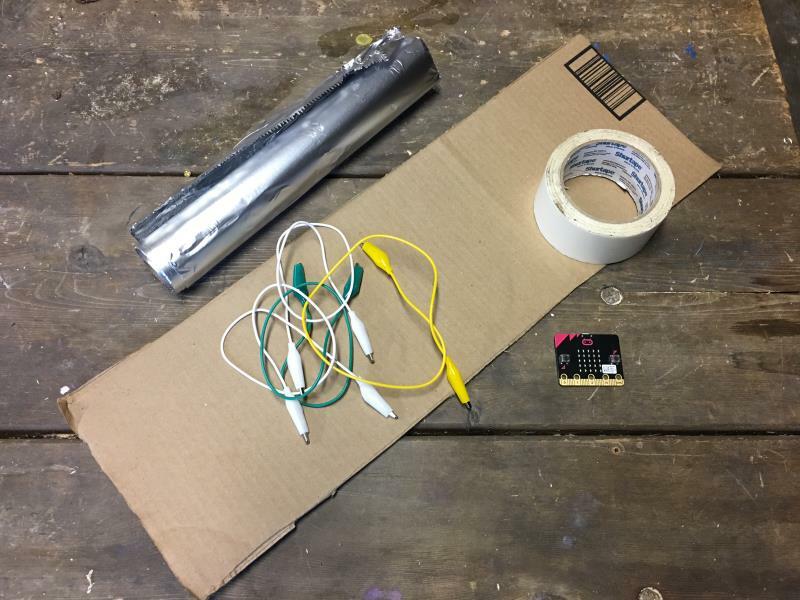 This project explains the principles of timing gates using household materials. 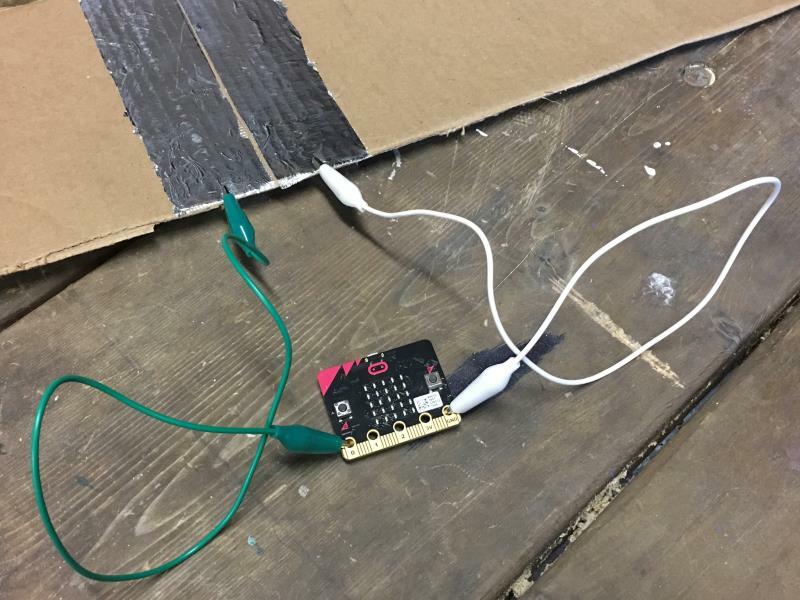 Two gates are connected to the micro:bit so it can detect a car passing through them. 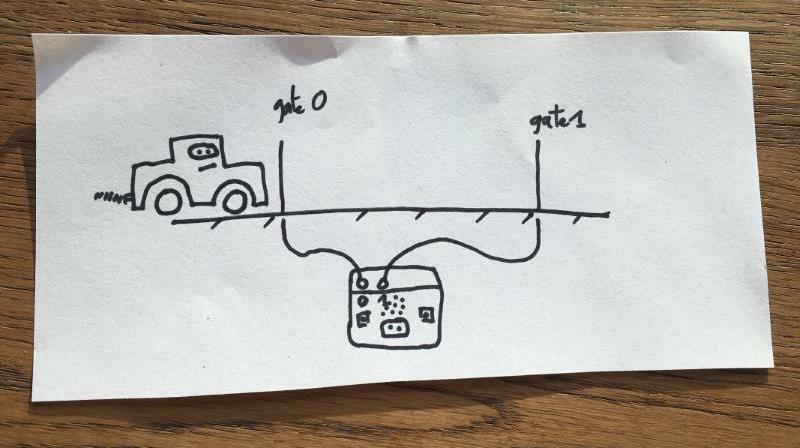 As the car passes through the gate 0, it sends an event to the micro:bit through the ||pins:on pin pressed|| block. The micro:bit records the time in a variable t0. 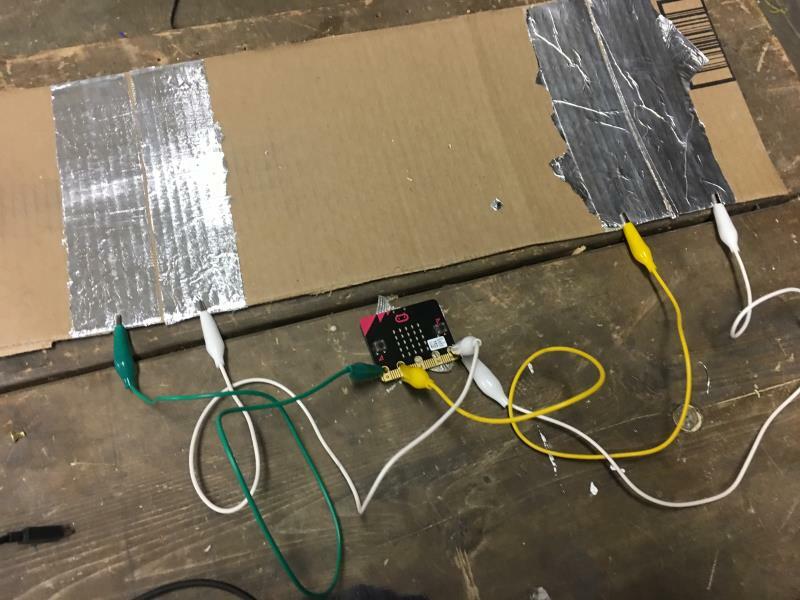 As the car passes through the gate 1, it sends an event to the micro:bit through the ||pins:on pin pressed|| block. The micro:bit records the time in a variable t1. The rest is a bit of math and physics. The time taken to cross the gates is computed as the difference of t1 - t0. By dividing the distance between the gates by the duration, we get the speed of the car! 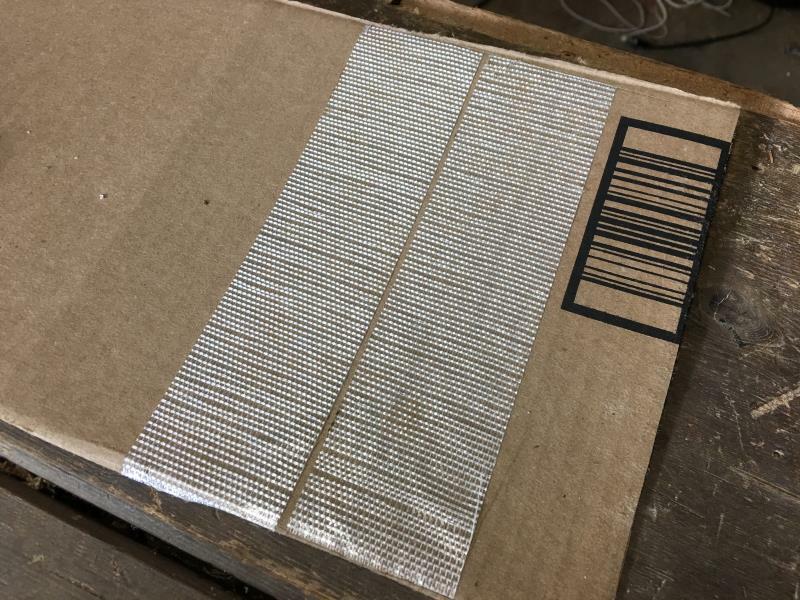 The sensor is made by tapping two strips of foil on the cardboard as close as possible. Add two strips of double-sided tape on the cardboard. Remove the protective film. 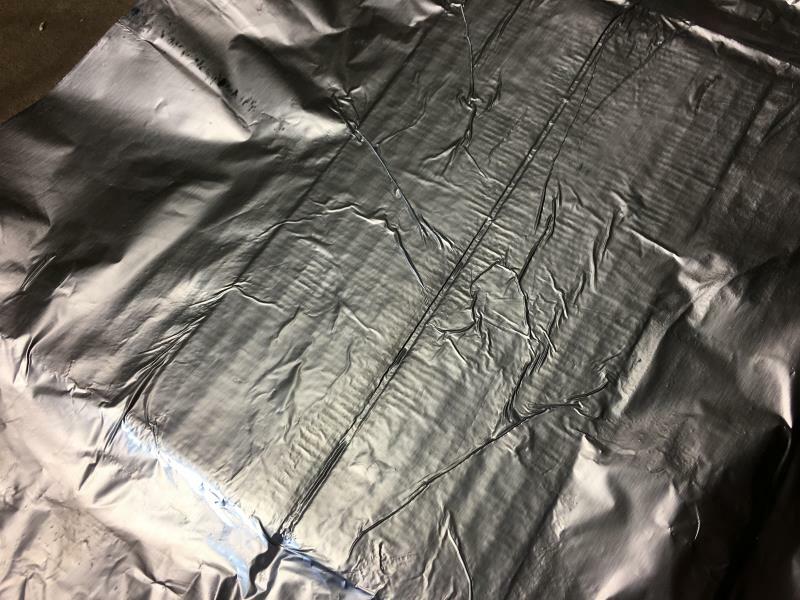 Lay the Aluminum foil on the double-sided tape. Press firmly on the tape to get a good bonding of the foil. Pull off the foil that’s not touching the tape strips. That’s all the foil in between and around the tape strips. This clears out the extra foil and makes a gap between the foil on the tape strips. Make sure the gap is just enough so that both foil strips don’t touch each other. 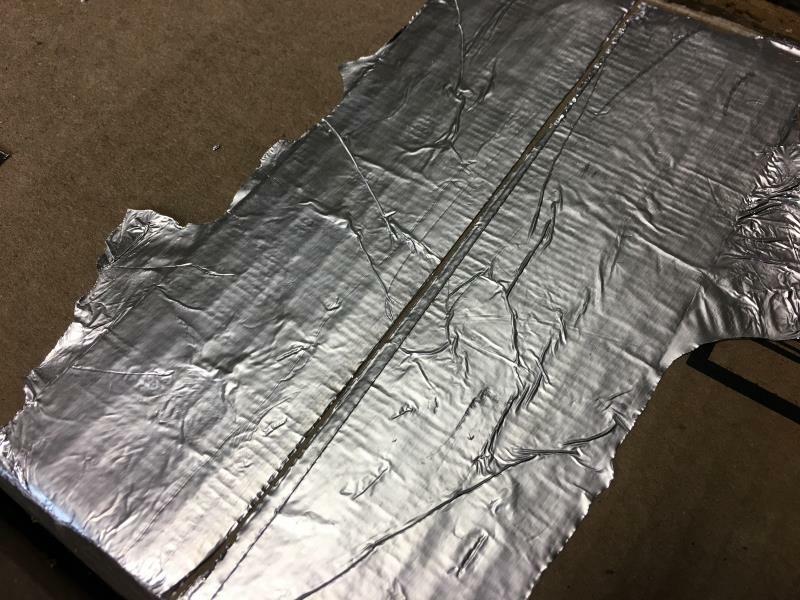 Connect a crocodile strip to each foil strip. 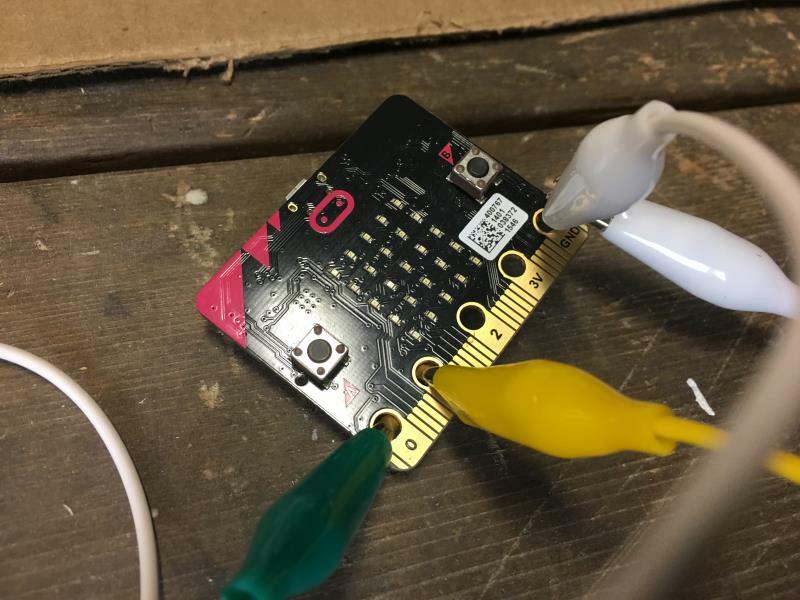 Connect the crocodile plugs to the GND and P0 pins on the micro:bit. The micro:bit provides an event ||pins:on pin pressed|| that is raised when a circuit between GND and a pin is detected. The circuit conductor could be a wire or even your body! We will attach a foil to the bottom of the car. When it passes over the gate, it connects both foil strips, closes the circuit and triggers the event. Open the code editor and start a new project and add the following blocks. Notice that we are using pin P0 here. Testing the code with our finger, we see a LED column turn on when pressing on both strips. 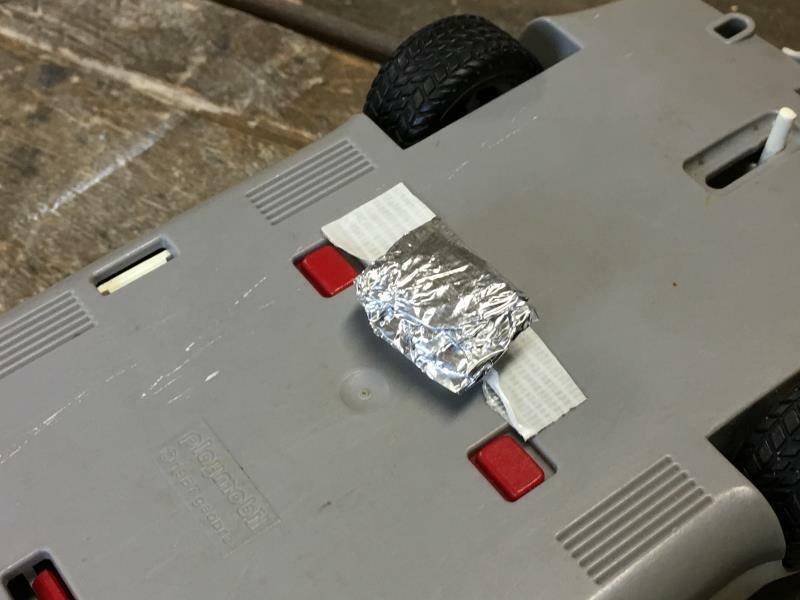 In this lesson, we picked a random toy car and tapped foil to the bottom. As the car goes through the gate, it will connect both sides of the gate and trigger it. Make sure to add enough foil to get a good connection on the ground. By moving the car (slowly) through the gate, you will see that it triggers the on pin pressed event. It doesn’t always work! Why? Sometimes the foil doesn’t touch both strips for long enough time to be detected. This is due to the poor quality of our sensor. To fix this, you would need to use better a sensor, maybe an IR detector or a Hall effect sensor. Repeat the same process with tape and foil to build the first gate. 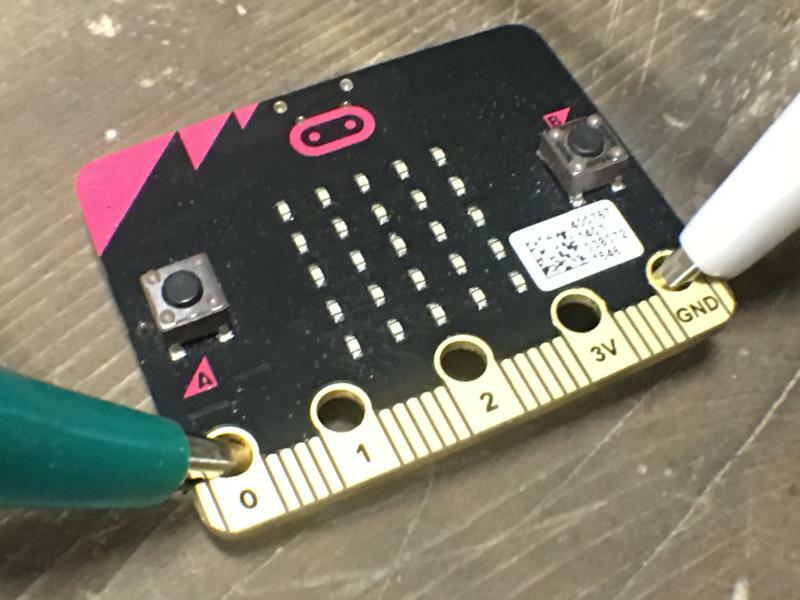 Connect the crocodile plugs to the GND and P1 pins on the micro:bit. Since the second gate is connected to pin P1, we add a second ||pins:on pin pressed|| event that display 2 columns of LEDs. Strolling the car over both gates, you can see how the first gate triggers then the second. The micro:bit has a clock that measures time precisely. It measures how many seconds the micro:bit has been on. We will record the time where each gate is tripped in variables t0 and t1. We take the different between t1 and t0 to compute the duration between the gates. 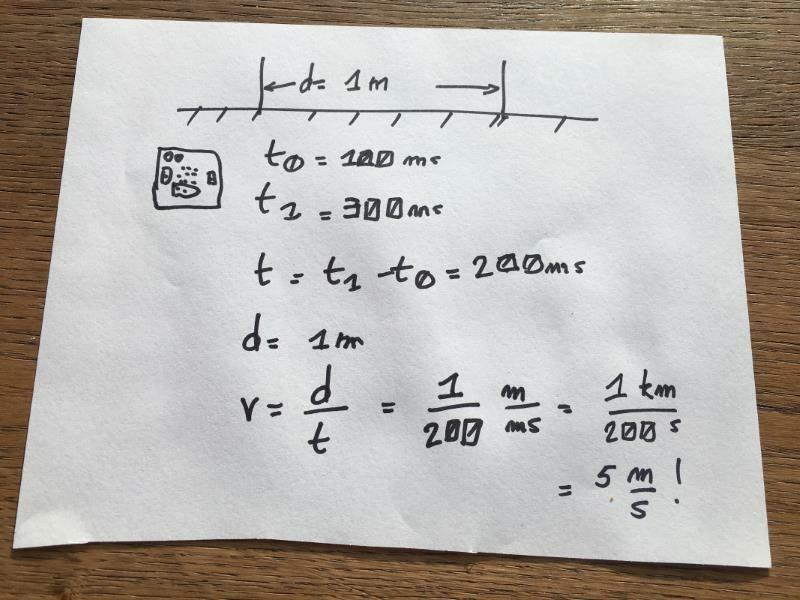 Measure the distance between the gates and apply Newton’s laws to compute the velocity (how fast it’s going) of the car. We’ll let you try to code this one on your own!